Please share this information with readers! 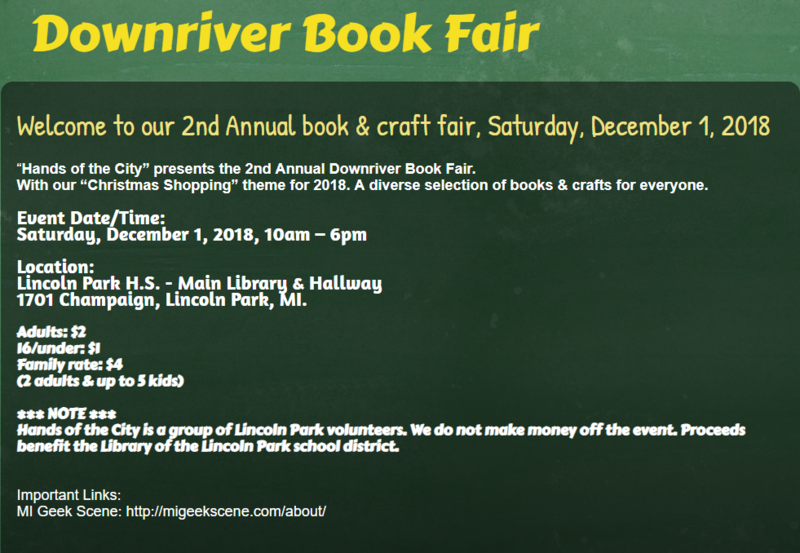 “Hands of the City” presents the 2nd Annual Downriver Book Fair. 1701 Champaign, Lincoln Park, MI. Hands of the City is a group of Lincoln Park volunteers. We do not make money off the event. Proceeds benefit the Library of the Lincoln Park school district.